Memo from Apple: $29 Battery replacements available for all included iPhone models with no delay? Late last year, Apple apologized for slipping in software during an iOS update allowing it to throttle the CPU on older iPhone models with weak batteries. Those units would reboot when faced with a complex task due to the lack of battery strength. Apple decided that one way it could make up with its customers would be to offer battery replacements for these devices at a price of $29, a 63% discount from the usual $79 that Apple charges. 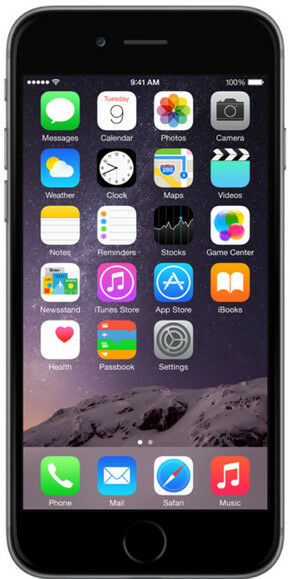 Models from the Apple iPhone 6 and later qualify for the $29 price, which is good through the entire year. The discount attracted a large number of iPhone owners, causing problems for those seeking to book an appointment at their local Genius Bar. In addition, batteries for some models were constantly out of stock, resulting in long waits for owners who had turned in their iPhone for a battery replacement. Some had to go several weeks before getting their handset back. There is good news today, and it comes from an internal Apple memo dated April 27th, which was obtained by MacRumors. The memo was sent to Apple Stores and Apple Authorized Service Providers and says that "service inventory of all iPhone replacement batteries is now available without delay." The battery replacement program, born of controversy, also has some issues of its own. Earlier this month, we told you that the BBC discovered that U.K. Apple Stores are using a technicality to force iPhone owners to make expensive repairs on their devices before getting the discounted battery replacement taken care of. In iOS 11.3, Apple included a meter that allows iPhone users to monitor the health of their battery. It also allows them to disable the throttling of their phone's CPU, even if they have yet to replace the battery powering their unit. It's a little expensive，I can accept USD19. Hope you have not a small crack or dent, apple will charge you for it. Thieves! Meanwhile my Galaxy S7 battery is at 40% health and barely lasts 2 hours. Samsung wants me to pay $150 to replace it. Thanks.